Investors bailed out of bond funds in August as long-term Treasury rates spiked. But investors pulled out of stock funds too due to fears about the Fed and Syria. Investors yanked more than $20 billion out of exchange-traded funds in August, according to Morningstar. That's the largest monthly outflow since the first ETF launched 20 years ago. Although stocks have been surging for most of the year, August was the worst month of 2013. Stocks fell as traders worried about the potential impact of the Federal Reserve scaling back its stimulus program sooner rather than later. Fears about a U.S. military strike against Syria didn't help either. Investors pulled more than $15 billion out of U.S. stock ETFs alone. The SPDR S&P 500 (SPY), the largest and most liquid ETF, was the biggest loser. ETFs are most heavily used by hedge funds and other big institutional investors, but individual investors have been also shifting out of traditional mutual funds into ETFs to take advantage of the lower fees. This has been the case for both stock funds and fixed-income funds. But bond ETFs were hit hard last month too. Investors withdrew $6.7 billion from bond funds. That's nearly 3% of the assets in these funds. The Pimco Total Return ETF (BOND), which is managed by Pimco co-founder Bill Gross, suffered its fourth consecutive month of outflows. Investors withdrew $94.6 million from the fund. The $260 billion Pimco Total Return fund (PTRAX), which the ETF is based on, lost $7.5 billion, according to Morningstar. Meanwhile, investors pulled $1.1 billion from rival bond fund manager Jeffrey Gundlach's $36.7 billion DoubleLine Total Return Bond Fund (DBLTX), according to Morningstar. The losses in these major bond funds have taken place as Treasury yields have begun to spike. Bond prices and rates move in opposite directions. An unprecedented $1.2 trillion was poured in to bond mutual funds and exchange-traded funds since the financial crisis according to TrimTabs. It seems that investors may no longer view bonds as secure investments at a time when the Fed may be looking to slow down the pace of its asset purchases. 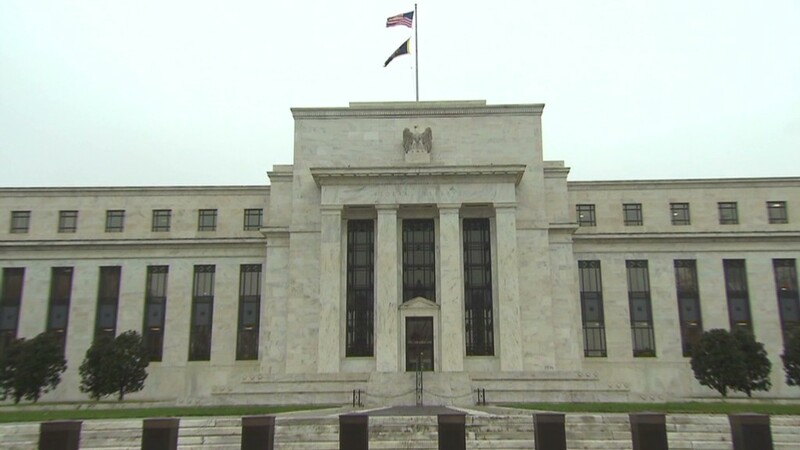 Economists have been speculating that the Fed could begin pulling back on its controversial $85 billion a month bond-buying program at its meeting next week. "Now that these 'safe' investments have delivered losses for four consecutive months ... investors are scrambling for the exits," said analysts at TrimTabs. Bond yields hitting 3%? Not so fast! But even if the Fed does begin to taper next week, TrimTabs CEO David Santschi believes it will be a relatively small reduction, as the economic recovery and bond market are fragile. Plus, there's little chance that that the Fed would want to rock the boat too much before chairman Ben Bernanke leaves his post in January. Some investors may already be taking that into account. While bond yields have continued to rise so far in September, stocks have bounced back sharply. 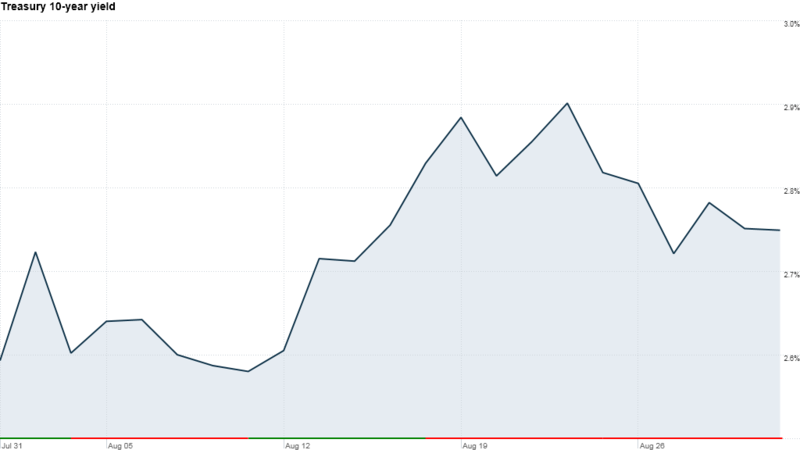 The S&P 500 is up more than 2% in just the first few days of the month.